Each of us could do with a little more money in our pocket, especially when we travel. So it pays – literally – to have a few cash-saving hacks up our sleeve to get the most from our bank balance when it truly matters… when we’re abroad. Consider travelling in the shoulder seasons of where you want to go. Not only are prices generally lower, but locations are quieter, staff have more time to dedicate to guests and there are often unexpected benefits like different wildlife or weather. Travelling through the Canadian Rockies in early May means that you catch the bears waking up, the days are long and sunny, and you get the mountain towns practically to yourself! A wise man (me) once wrote, live as and eat what the locals do. 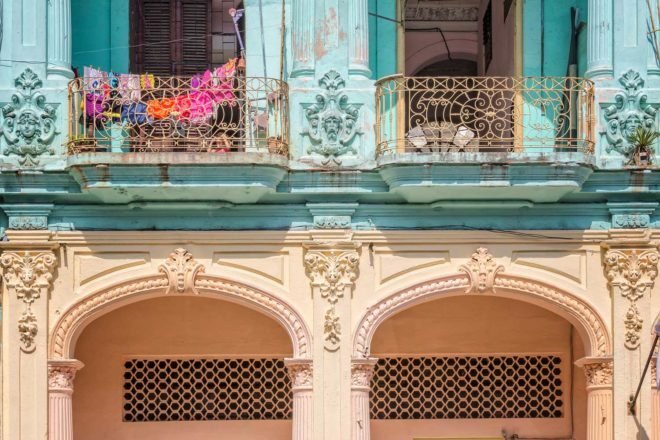 To save a fistful of pesos in Cuba, bunk down at a casa particular, grand-value genuine home-stays that pre-date Airbnb but can now be booked on it (and other dedicated websites), at a fraction of the price of generic Havana hotels. They can be a touch noisy and a pinch rustic, but the characters you’ll meet and the culture you drink in is well worth it. The best part is, you get to practise your kindergarten Spanish to a captive audience. The owners will rustle up a brekkie for next to nix, and often will recommend a buen amigo’s ‘paladar’, a private-home restaurant for dinner, where you may be able to pay with local currency (CUP) instead of the official tourist currency (CUC). A novelty of any holiday for an Australian is public drinking, or known everywhere else as simply: drinking. The Beer Bay is a small shopfront on Hong Kong’s central piers with a good bottle list and rotating taps to suit any casual TGIFer or nerdy connoisseur. On weekends the stall next door grills meat on sticks as a perfect accompaniment for these responsible adults consuming alcohol. There are buskers everywhere, public stairs as seats and a wonderful view of the harbour, the perfect setting to drink drinks with friends outside. At home there’s a hefty price attached to having a friendly drink with waterside views, but not here. I’m a big fan of the late afternoon discount entry ticket, especially when you have children: many headlining galleries and museums around the world offer discounted entry tickets one to two hours before closing time, which is about as long as most children want to spend being dragged around looking at art, so it makes perfect sense. Often, travelling off season can be a great option. If you’re braced for the weather, you can enjoy places with half the number of other tourists and, if you time things right, you can generally avoid rain/too much sun etc. As a rule, you’ll get better priced hotels, the best guides, and you’ll be more likely to be able to secure nice upgrades at hotels. Try emailing the concierge or reception desk of your hotel a couple days ahead of your arrival, letting them know some of your personal preferences – a favourite drink, for example, a regular exercise routine, or a cultural interest. Maybe they’ll welcome you with a favourite cocktail, if you’re a yogi, put a mat in your room, or leave a book or list of cultural recommendations. Surrounding any famous attraction will be the overpriced restaurants and souvenir shops taking full advantage of their prime location. It’s hot, you’re bothered, but if you’re on a budget, you don’t have to be a sitting Peking duck. The proximity of the attraction attracts other businesses too, which is why it pays to employ the One Block Rule. Walk one block back from the main strip, and watch prices fall dramatically. Two blocks back, even more. There are enough One Block people to ensure plenty of business to go around, and rest easy knowing your hard-earned buck can jump a little further. Fancy some wine to end the day, but not keen to pay a hefty €20-plus for it? Wine lovers can rejoice in Europe! Head to the nearest supermarket, where you can pick up a nice bottle for less than €10, plus some fresh bread and cheese. The only problem you’ll face now will be choosing the perfect picnic spot to enjoy your très European supper. For those travelling to big cities, consider staying at micro-hotels, particularly in places like NYC. Aussies who are willing to stay small in a micro hotel can save big on accommodation costs; on average, travellers can save around $90 a night, which goes a long way in the Big Apple. Also look out for bonus free extras. If you can get things like free breakfast, free spa treatment or free meals, that’s a great way to reduce your on-the-ground costs. I only book hotels with breakfast included – on a two-week holiday I estimate I’m saving around $350.